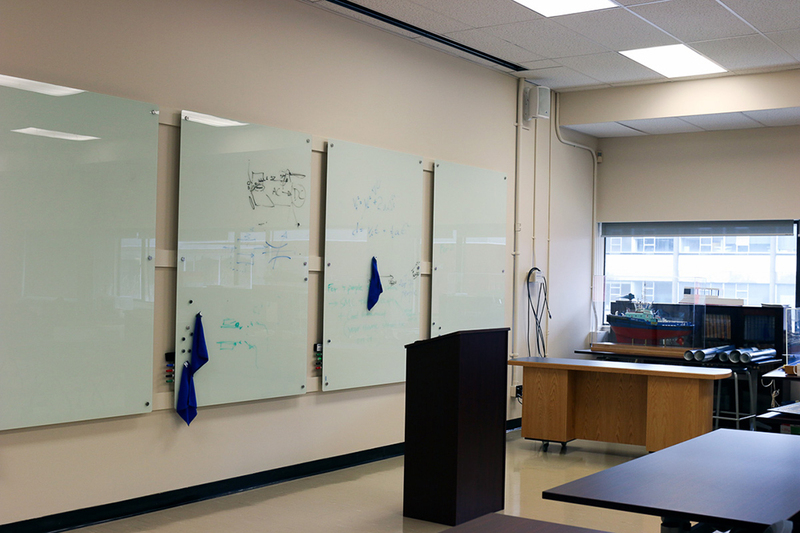 Located in the Civil and Mechanical Engineering (CEME) building, the Naval Architecture and Marine Engineering (NAME) Design Studio is a combined classroom, social, and after-hours work space. 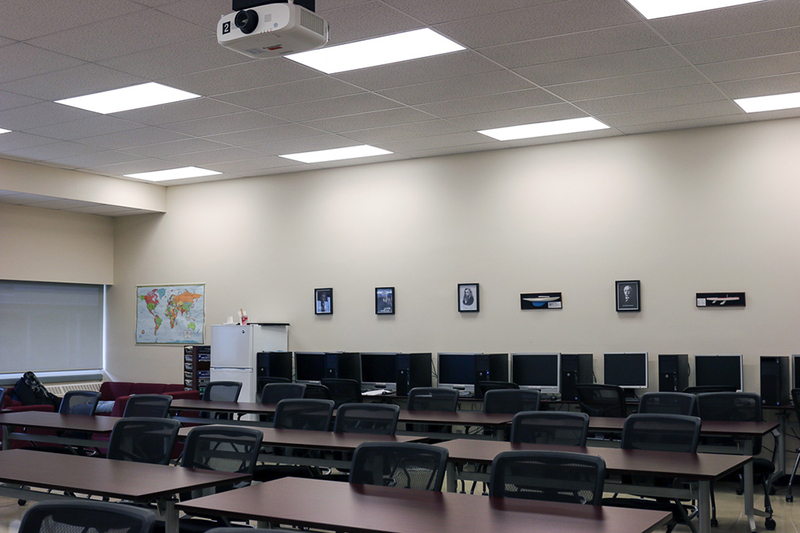 It includes state-of-the-art teaching technology and movable tables and chairs for NAME classes (which all take place in this room), a PACE computer lab with advanced ship software, a small library, student lockers for storage, and a student kitchen and lounge. The program has also been fortunate to receive donations of ship models from Robert Allan Ltd., Lloyd’s Register, and Seabulk, which add to the room’s aesthetics while serving as tools for instruction. From the outside, students and visitors will recognize the room by the display cases in the hallway showcasing student work and awards, and by the porthole-shaped window in the door! 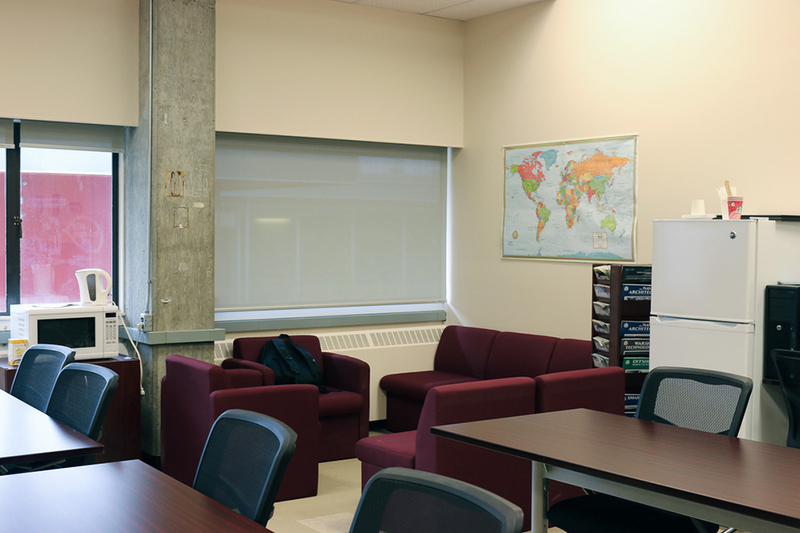 Learn more about the UBC NAME Program here.